As promised, here is my third post about the incredible 2014 SCBWI FL Regional Conference in Miami. 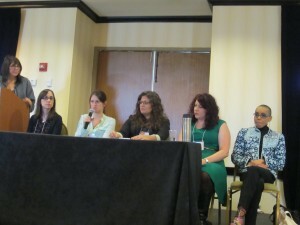 This one covers the editor panel and workshops led by editors Laura Whitaker and Aubrey Poole. Click here to check out my first post about the fantastic Novel Intensive led by agent Jen Rofé, editor Stacy Abrams, and author Chris Crutcher. And part two covers almost all of the general session, including an amazing agent panel filled with helpful info. Stacy Abrams—contemporary (no paranormal or dystopian). Can have an issue in it but the book can’t be about the issue. Kat Brzozowski—dystopian is hard. Would love a good YA mystery. Comes across as loving dark but does love girl meets boy and they kiss, light romantic contemporary stuff for girls. *She also said that with social media, if you do one thing well but don't like another, don't force it. Aubrey Poole—loves sci fi, YA, not looking at genre really—it’s the stories that stand out within a genre. More experimenting with format. Laura Whitaker—she’s tired of dystopian and paranormal YA. She wants to be immersed in a story so much that she's physically removed from her own issues. She wants to read about real people. Contemporary, original voice. *She also said that with MG and YA, networking is important. Do a lot of digital marketing initiatives. You can get a huge impact from doing a blog tour. "Help me help you." Andrea Pinkney—more diversity, African American boys, adventure, mystery, fun. Contemporary stories. *You need to normalize and not make it about the problem, even with something like bi-polar. She’s interested in a novel with a character who has piercing or a lot of tattoos. Aubrey Poole – Do You Know Your Character? A Writing Intensive on Character Development. She gave us a personality quiz to help look at characters in a different way. She chose a character—Sherlock Holmes (she's obsessed with the new Sherlock show). We had to answer from our POV—how we see him. When writing your character, remember that you act different with parents/sister/friend, etc. You can use the Hero's Journey—Google it, and you'll find one that works for you. Harry Potter perfectly follows the Hero's Journey. You should use whatever point of view tells your story. If you give a description of a room, it should reflect your character. She shared a character questionnaire found in Gotham Writers’ Workshop’s Writing Fiction. It’s filled with fantastic questions, broken up into two sections. The first are questions that address the basics about a character and include things like: Does she have a secret and where does your character go when she’s angry. The second section digs deeper by asking more unconventional questions like: What is one strong memory that has stuck with your character from childhood and why is it so powerful and lasting? I wish I could share them all with you, but it really wouldn’t be fair for me to give more than this glimpse. If you want more—take Aubrey Poole’s character workshop or Writing Fiction! 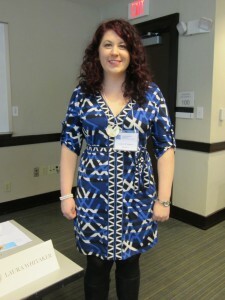 Laura Whitaker: Dating 101: What makes YOU desirable to an editor? Come up with an original title that represents your work. If the title is the same when you’re published and there’s a story behind how you arrived at the title, marketing will want it later for a blog/Tumblr piece. If there’s a tie in with a recent news story/national concern—make sure she knows. Comp titles/TV shows/films are always good to include. For non-fiction, tie it into common core curriculum. Writing groups/conferences show that the writer is interested in the revision process. They want to know this! She wants magical realism MG—a present day situation that has magical elements that come into it rather than the focus of the whole story. She wants a Chanukah picture book. She likes sparkly things. You can include info about it being a trilogy in a pitch letter to an agent but not an editor. Your website is your calling card--especially for picture books. Do you tweet out interesting, dynamic tweets? It’s the best way to build connections with other authors, agents, and editors. Twitter is more important for MG and YA. Interact! Do you write about the process or what you're working on? Marketing and publicity want to see your social media platform. The more social media, the better—but it’s not a substitute for the craft. We received a coupon from the conference to submit to her. If we don't have an agent, Laura can't acquire a manuscript (but if she loves it--she'll actively try to help us find an agent). Combine this with her incredible enthusiasm and knowledge, this amazing workshop that explained how to wow an editor and included a really helpful handout, plus the fact that she requested several manuscripts and you’ll see why Laura Whitaker is a fantastic asset to any conference or retreat faculty! All the FL SCBWI events have been incredible, but this one had some extra-special magic. Peggy Robbins Janousky had her first page read in the Picture Book Intensive and it received such enthusiastic responses from the agent and editors that she ended up signing with Deborah Warren on the second day of the conference! I can’t wait to share Peggy’s full FL SCBWI Success Story in an upcoming newsletter. We have another writer who signed with Deborah Warren soon after the conference. And so many of our members received full manuscript requests from agents and editors that weekend. There’s a lot of hope out there now, and I’m crossing my fingers and toes that there will be even more great news to shout out soon. I’m counting the days until the Orlando Workshop at the Swan/Dolphin hotel on Disney property on June 6th and 7th. I’ll share the faculty list as soon as it’s confirmed, but I was excited to hear that agent Alexandra Penfold will be back again. She gave an amazing Picture Book Intensive a few years ago with author Lisa Wheeler. 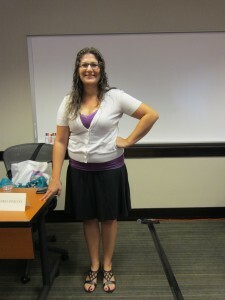 Here’s a link to the first post about that Picture Book Intensive and here’s the second one.